The history of the private company “Mallati” includes more than 12 years. 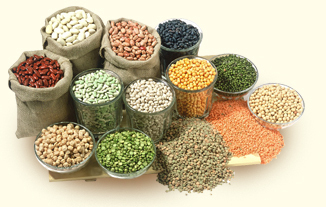 The main activity of the company is the export and import of agricultural products . The products of the trade mark “LIZA” are very popular at the Ukrainian market. The company provides the goods of its own production for export to the foreign markets. The raw material for the production is supplied directly from the farmers, who provide all the necessary documents and certificates conforming the quality of the goods. All the agricultural products are hulled and cleaned and the modern sorting equipment SORTEX Z+ 2RBL with InGaAs Camera , produced by the company Buhler Sortex Ltd, United Kingdom, that is one of the leading companies in the sphere of production of the equipment for sorting and cleaning of agricultural products. The factory is equipped with updated straight line automate machines. The high quality of the ready-made products is confirmed by the international certificate of quality according to the standard ISO 22000. The quality of the products is controlled by the qualified specialists of the authorized laboratory, that controls the quality of the raw materials supplied by the farmers and also the ready-made products. The Partner of the POC “Mallati”in the sphere of the foreign trade with the Middle East countries. The catalogue of our company includes more than 10 types of ready-made products. We enlarge the assortment of the products constantly according to the requirements of the market. 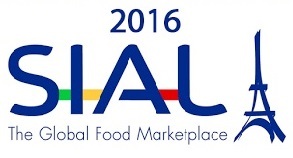 The world-famous exhibition SIAL will take place again in Paris in 2016. The exhibition, as always focuses on innovation and new ideas of business. The largest exhibition of food industry not only demonstrates the full range of goods and services for food production, but also closely follows the innovations and progressive developments around the world. This allows the event to form a vision for the future and to be the most useful and effective for professionals. The exhibition begins on October 16 at the World Food Day. All categories of food and beverages will be presented here, ranging from simple ingredients and ending with cooking masterpieces. National expositions are presented very well. Participants and guests of SIAL expects the selection and award in the category of SIAL Innovation Awards, analysis of the most recent innovations in the world market. At the conclusion of the exhibition will host a summit with the participation of the first persons of the world market. MALLATI company this year again participating in the SIAL Paris 2016. OUR COMPANY TAKES PART IN THE INTERNATIONAL FOOD EXHIBITION «SIAL 2012» FROM 21 OCTOBER TILL 25TH OCTOBER 2012 IN PARIS, FRANCE. MEET US AT HALL 5A G127, STAND 5A.